Indian Development Foundation (IDF) in collaboration with Varija Madhava Foundation (VMF) launched Varija Madhava Bal Gurukul for the benefit of the underprivileged children in Kurla East (Mumbai). Shri S. M. Hegde, Chairman, VMF and Dr. A.R.K.Pillai, President, IDF dedicated the Bal Gurukul for the children staying Kurla slums and announced it as a step towards providing `right education' and empowerment to the young minds. Dr.Ramandeep Sachdeva, Dr. Aneeta Nagpal and Dr. Narayan B. Iyer expressed their happiness to see good number of students turning up to avail the wonderful facility. 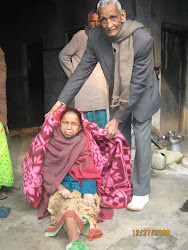 Mr.Subhan Khan and Ms.Sahrunisa from the local colony have volunteered to monitor the Gurukul. VMBG Teachers Ms.Sushma and Ms.Anamika will take special initiatives in developing the young kids. Varija Madhava Bal Gurukul will be a great boon in transforming our children's lives, expressed a visiting parent. 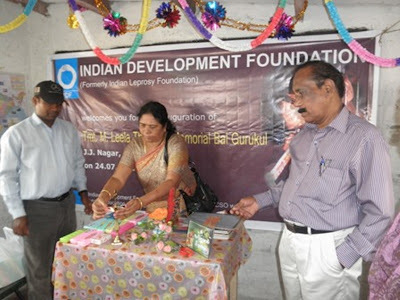 Indian Development Foundation launched its 40th Bal Gurukul in Coimbatore on 24th July 2011 - Tmt. M. Leela Thangam Memorial Bal Gurukul. 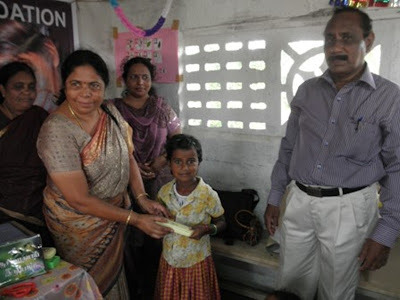 Mr. Robert Karunakaran, Former Education Director of Coimbatore was inspired by the work of IDF in the area of providing education to the underprivileged students. He came forward to collaborate with IDF and start a Bal Gurukul in the memory of his mother. Mr. S. Sreeram, Mr. Mano Ranjit Lad and Mr. F. Fredrick from Indian Development Foundation appreciated the wonderful gestere of Mr.Robert Karunakaran. Mr. V.S. Gandhinathan from Families for Children, Coimbatore said such Bal Gurukuls are a great boon for the children who are in the quest of knowledge and learning. 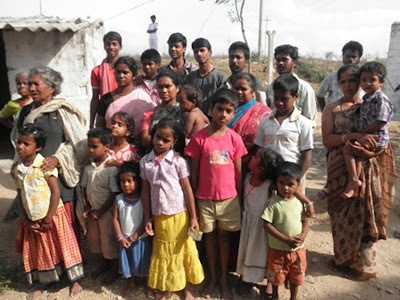 He also complimented Mr. Robert Karunakaran and his family for the wonderful social responsibility. Inaugurating the Bal Gurukul, Mr. Robert Karunakaran said, it is one of the golden moment of my life as i dedicate this centre for the poor and the needy. Find the purpose, means will follow......... READ AND REACT. IDF believes in networking and collaborative participation. IDF's philosophy - Let's work together and build a better India of our dream. 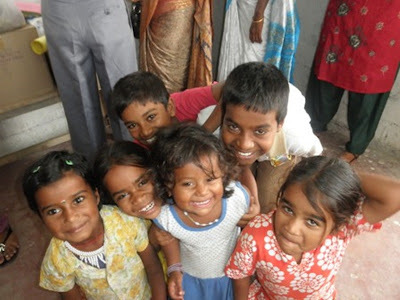 Like IDF, there are thousands of NGOs working in the field of health, education and rural development. There are very BIG, big, MEDIUM, small to very SMALL organisations in every corner of this country. Many are waiting for an opportunity to affiliate and work for various causes. Let's come together, network and see that we start nailing the problems one by one. The power of ONE is really great. There is no dearth of resources in India - may it be human resource or monetary resource. People are ready to support humanitarian causes. 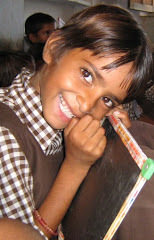 Every child in India should be educated. This should be our PRIME TASK. Despite of top social and corporate giants - we still find children on the street - either begging or rag-picking. Can we not better the situation and give them the dose of education ? Is it not our responsibility ? What are we waiting for ? A step towards right to `right education'. On July23rd '11, Sri. P.D. 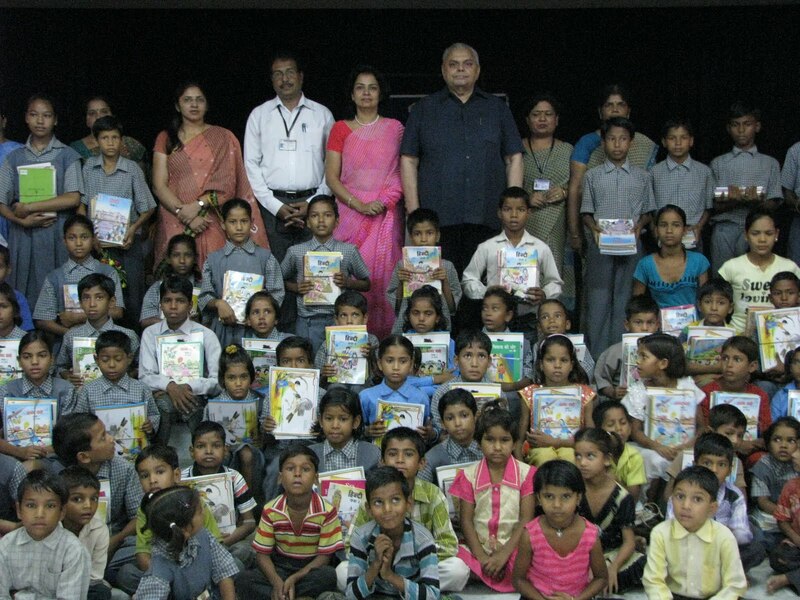 Singh, Director Tagore Group of Institutions distributed new books and copies to all 91 students who got enrolled with Deepak Bal Gurukul,Jaipur in the new academic session 2011-12. Smt.Kamal Rathore, Principal, Tagore International School, Jaipur gave away the second instalment of AMMA's VIDYAMRUTHAM SCHOLARSHIP to 14 students of DBG,Jaipur. 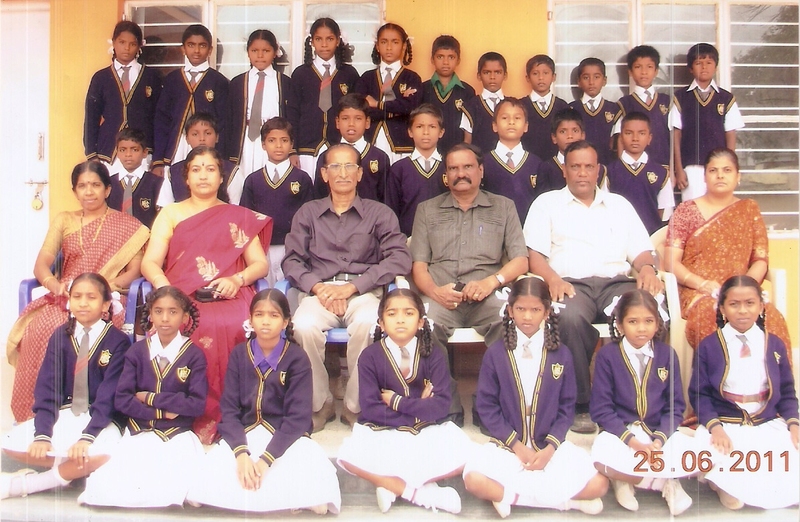 The function was attended by the parents and students of DBG. Sri. P.D. Singh highlighted the need of education and offered all possible means for uplifting the poor and underprivileged class in our society. 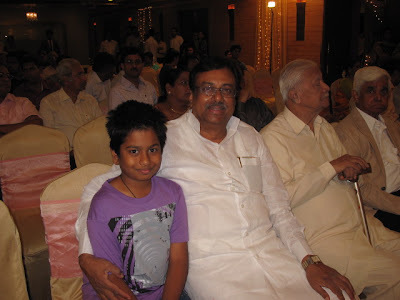 IDF young social ambassador Master G.R.Shankersai was congratulated by (pic 1) Shri E.V.K.S.Elangovan, former union minister and (pic 2) Dr. B. Premkumar, Sr. Vice President (Medical), Apollo Hospitals, Chennai for excellent social service. 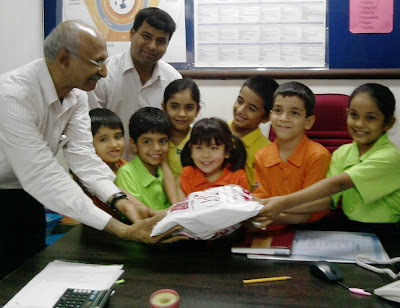 The young social soldiers of Podar International School, Santacruz (West), Mumbai presenting the voluntary contributions mobilised by the schoolteam to Dr. Sharad Nayampally and Mr. Sanjay Waghmare from Indian Development Foundation. The students of Podar International School have been enthusiastically participating and supporting various social responsibilities programmes of IDF. IDF records special appreciation and gratitude to the Director/ Principal, the CAS Co-ordinators, the teachers, the students and their parents for extending whole-hearted support to leprosy/ TB and education programmes. Dr. A. R.K.Pillai and Dr. Narayan B. Iyer addressed the students of SM Shetty High School & Junior College, Powai, Mumbai on social responsibility programmes carried out by IDF. The team also created health awareness among the students with particular reference to Tuberculosis. Students from class X came forward to extend their whole-hearted support to the humanitarian programmes and also took the responsibility to spread TB awareness among their school-mates. Appreciating the excellent work of IDF, Mrs. Seema Sabhlok, Principal of the school exhorted the students to participate in various social work programmes and bring smiles on the underprivileged children in various centre of IDF. As the announcement of visiting an orphanage was made by Mrs. Alka Arora, Co-ordinator of the school, the students were thrilled with enthusiasm. 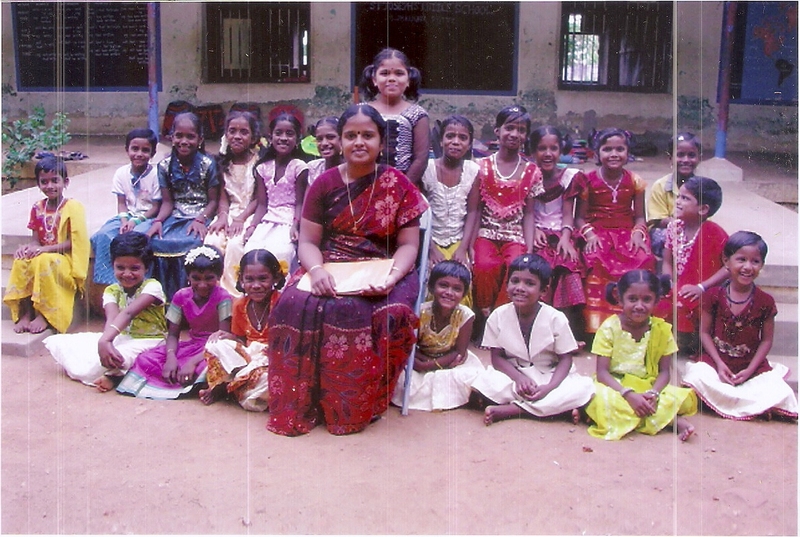 Sheryl Sudhakar, class X student said the visit will be an eye-opening for all of us and give us an opportunity to share joy and happiness with the little children in the centre. The visit will mean a step towards strengthening empathy and enlarging the sense of responsibility towards the society, expressed the Principal of the school. 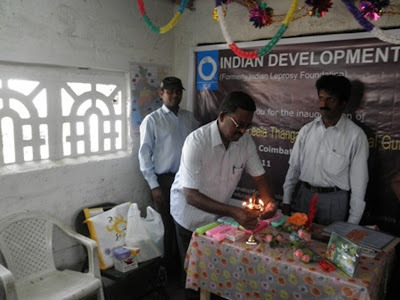 Members from Bunts Sangha's S.M.Shetty Group of Education Institutions congratulated IDF work. 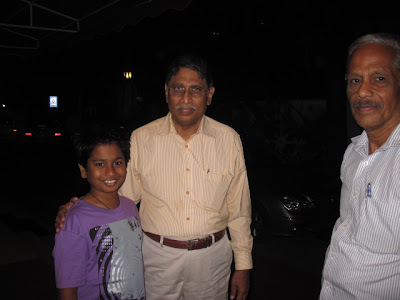 Dr. Narayan B. Iyer, CEO, IDF and Mr. Nehmiah Chirag, Asst. Development Executive, of Indian Development Foundation called on His Grace Rev. Vincent M. Concessao, Archbishop of Delhi at the Archbishop's House 19th July 2011. Dr. Narayan apprised the Archbishop on the IDF's nation-wide ongoing social responsibility programmes, stressing on the need for TB awareness among the masses. The Archbishop congratulated IDF and its team-members for the wonderful humanitarian work carried out in the areas of health, education and rural development. 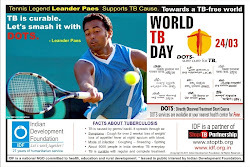 His Grace asked the team to intensify TB awareness in India particularly in educational institutions as students are the messengers of health messages. He also exhorted students and citizens to join hands with IDF for the TB elimination programme. Dr. Narayan and Mr. Chirag sought blessings from the Archbishop as they presented the copy of Hope on the Horizon. Brig. V. S. Chaudhri (Retd) and Mrs. Veenu Chaudhri from Pareevartan School, Ghaziabad (UP) congratulated IDF team. Mrs. Vimla Bhusry, Director and Mrs. Sharmila Raheja, Principal of Uttam School for Girls, Ghaziabad receives a copy of Hope on the Horizon from Dr. Narayan Iyer. Dr. Hepesh Shepherd, Director, Ingraham Institute, Ghaziabad (UP) congratulated the excellent work of Indian Development Foundation in the areas of health, education and rural development. Talking to Dr. Narayan B. Iyer and Mr.Nehmiah Chirag Bacon, Dr. Shepherd expressed his happiness on the spread of IDF Bal Gurukuls in India, reaching out the have-nots. 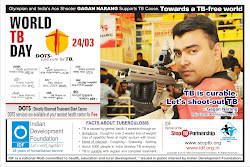 He also complimented IDF's role in TB awareness programmes across India. Dr. Shepherd and Mrs. Sapna Shepherd initiated the idea of opening four more Bal Gurukuls in collaboration with Ingraham Institute in addition to the already existing Bal Gurukul at Asha Vidyalaya (for the hearing impaired). Of the proposed four Bal Gurukuls, one will be in Ghaziabad for the street children, the second will be in remote rural area and the other two in the UP state capital, Lucknow. Dr. Narayan accepted the proposal and expressed IDF's fullest support in initiating such excellent education programmes. Earlier, Dr. Narayan and Mr.Chirag addressed the morning assembly and created awareness on Tuberculosis. Dr. Narayan also held a special session on personality development for the students of class XI and empowered them towards brighter path. The Principals and Headmistress of Ingraham Institute - Mrs. Arpana Ruth, Mrs. Mohini Sampson, Mrs. Taskin Pershad, Mrs. Mercy Prasad and Mrs. P. Tewathia - expressed their happiness in supporting IDF's humanitarian programmes. IDF salutes Team Ingraham Institute for their relentless support for social programmes. Hon'ble Shri Brij Kishor Sharma, Cabinet Minister for Transport, Govt. of Rajasthan presented Certificates of Appreciation and materials to various trainees who successfully completed their training in Ramgarh Re-integration Centre in Jaipur. 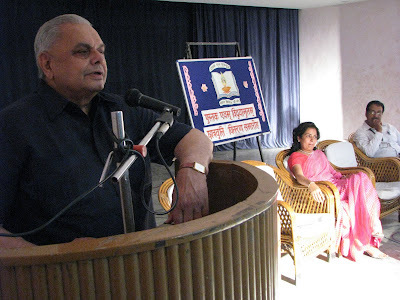 Shri Suresh Kaul, President, SMK-RRC complimented the trainees and spoke on the importance of self-reliance. Dr. Narayan B. Iyer, CEO-IDF, congratulated the students of Tilak Bal Gurukul who were present at the event. Shri Gopal Meena, MLA, Jamwaramgarh, Shri Vijay Sharma and Shri Rajesh Kaul from SMK were also present. Mr. Gauhar Mahmood, Chief Manager, RRC welcomed the gathering while Mr. Mukesh Sharma proposed a vote of thanks. Mr. Simon Peter, Mr. Nehmiah Chirag Bacon and Mr. Kovid Oli from IDF also took active part in the presentation ceremony.